A heads up for anyone looking to use the Royal Caribbean website, as a maintenance downtime window has been scheduled for much of Sunday, October 7th. Royal Caribbean has advised us that this weekend, from midnight Saturday until 6 pm Sunday evening, the Royal Caribbean website will be down. Royal Caribbean says the downtime is for standard maintenance. 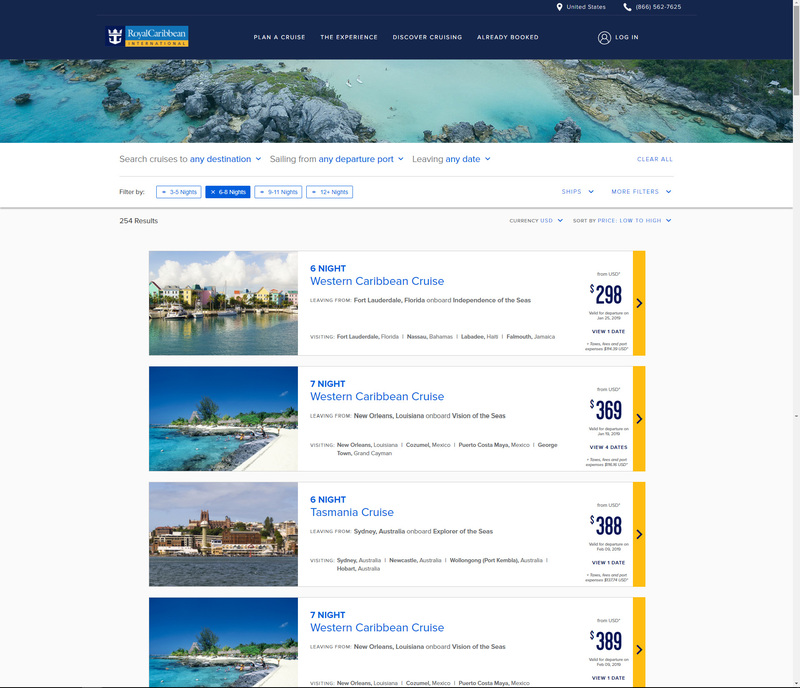 Royal Caribbean has updated the look to the part of its website where visitors can book their cruise. 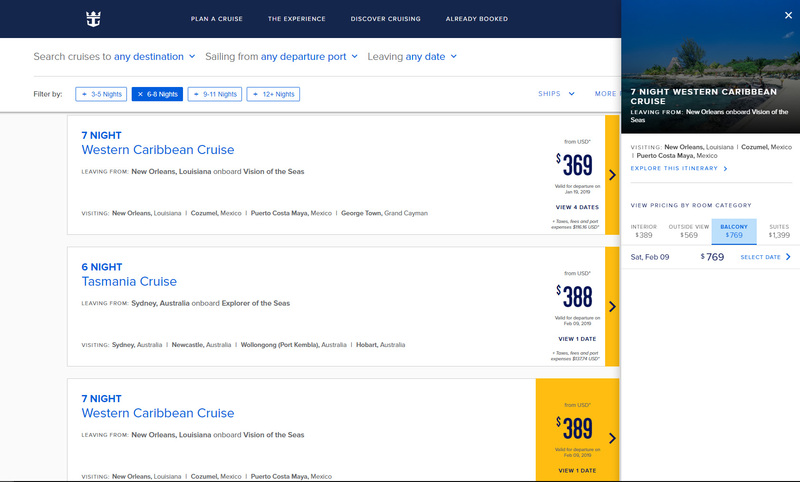 The updated look makes quickly comparing prices between different sailings simpler, as users can click between different sail dates and see pricing without leaving the search result page. Do you like the new design for the cruise booking engine? Share your thoughts in the comments!